The model TF40 duct thermometers are used for temperature measurement in heating, ventilation and air-conditioning technology. They are primarily used in air ducts. Mounting is performed using a mounting flange. 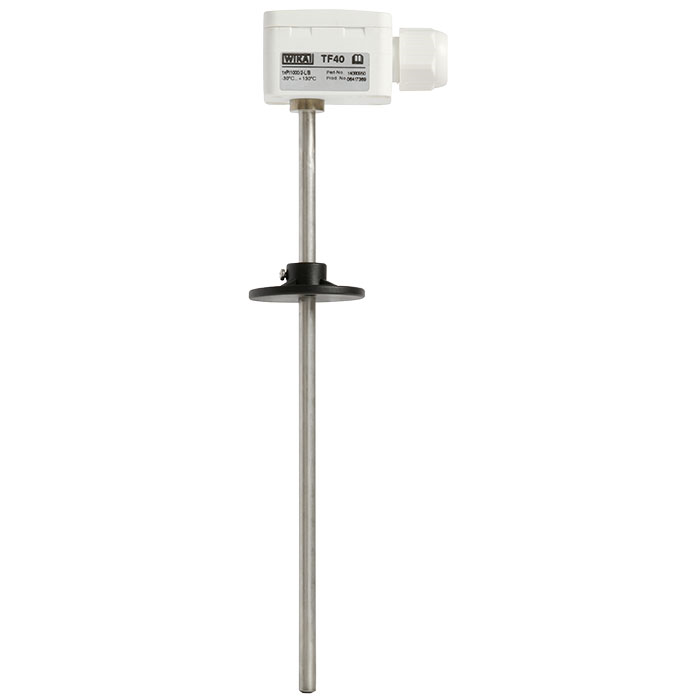 In conjunction with an additional thermowell, they can also be used for temperature measurement in liquids. The extremely small case even enables mounting in locations where there is very little space available. By selecting the appropriate measuring elements, the TF40 duct thermometers are compatible with all commonly used control systems.